Available in numerous configurations and colors by Special Order. 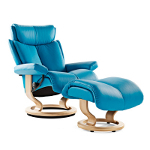 The Stressless E200 Sofa is one of Ekornes' more modern designs as far as style cues go. 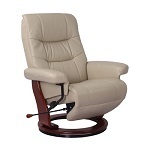 But don't be fooled -- it has the brains and brawn to match its beauty, while all the time providing the absolute comfort that Stressless is so well-known for. Featuring the Stressless ErgoAdapt System, the seat tilts down automatically the moment you sit down, so your sitting angle is optimized to you. And, if you want to lie down, the seat elevates to the completely flat position. No matter what your choice, the outcome is the same -- ultimate comfort.